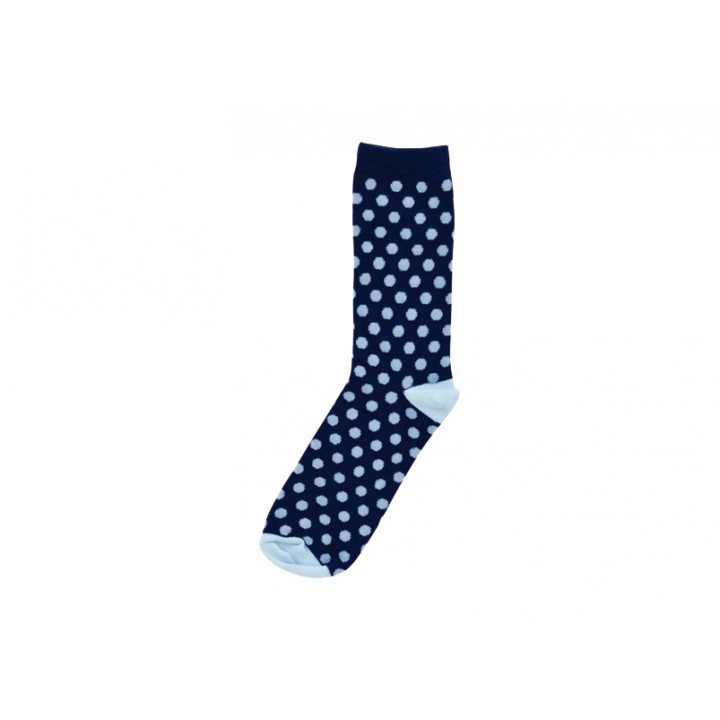 Mr Style by name and now also by feet. This new range of fun, colour and design of stripes & spots socks come complete in a gift box made just for "him". 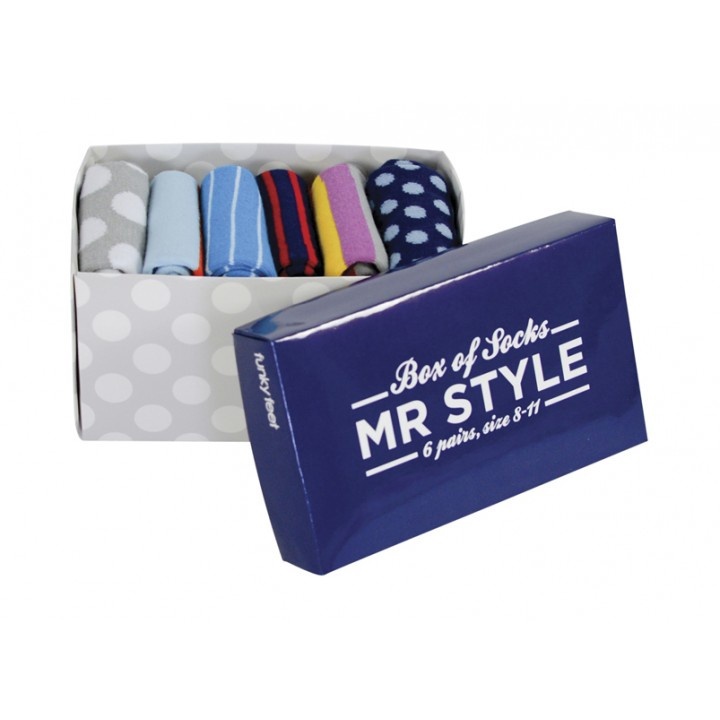 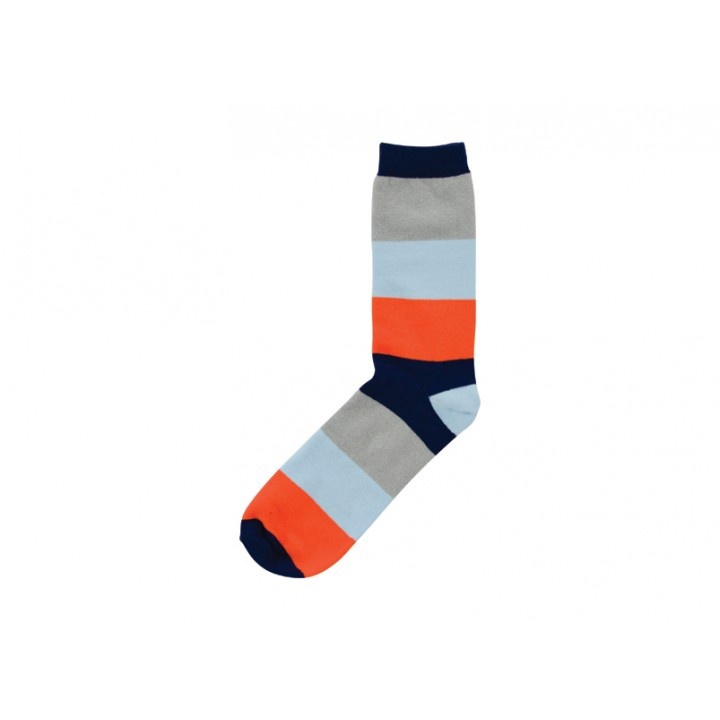 Mr Style box of socks is filled with 6 pairs, in one size 8-11.